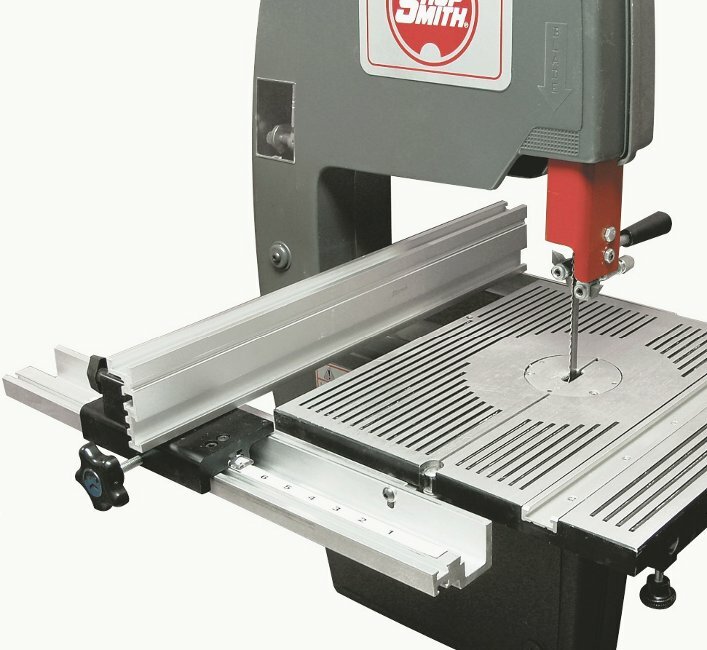 Designed exclusively for the Shopsmith Bandsaw, this fence system features rugged aluminum rail extrusions that attach quickly to the existing holes on the underside of your Shopsmith Bandsaw table with self-tapping bolts (included). Once attached, you'll have a 20" long by 2-3/4" high precision rip fence with a convenient direct-reading scale that locks firmly into position with a single knob to help accurately and quickly rip stock up to 9-3/8" wide. That's 4-3/8" wider than our regular bandsaw rip fence. In addition, the face and top surfaces of this fence offer convenient, pre-formed T-slots that will accept Shopsmith's flip stops, featherboards and utility lights - or your choice of special shop-made jigs and fixtures, using our special T-Nuts. The Fence can also be laid down and attached to the mounting head horizontally for those situations where you may wish to resaw or rip thinner stock. This approach allows you to get your bandsaw blade guides down lower during such operations. 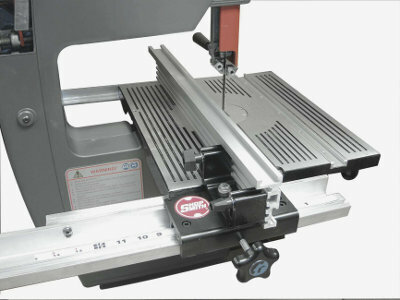 Note: Works with current model Shopsmith bandsaws or older models that have been upgraded with our aluminum worktable. Not for use on older model Shopsmith Bandsaws with cast iron worktables.